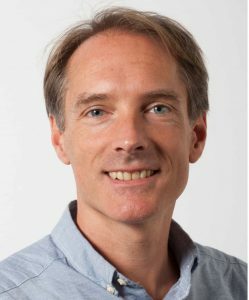 Peter Grünwald heads the machine learning group at CWI in Amsterdam, the Netherlands. He is also full professor of Statistical Learning at the mathematical institute of Leiden University. He is currently President of the Association for Computational Learning, the organization running COLT, the world’s prime annual conference on machine learning theory. He was co-program chair of COLT in 2015 and also chaired UAI – another top ML conference – in 2010/2011. Apart from publishing at ML venues like NIPS, COLT and UAI, he also regularly contributes to top statistics journals such as the Annals of Statistics. He is the author of the book The Minimum Description Length Principle, (MIT Press, 2007), which has become the standard reference for the MDL approach to learning from data. In 2010 he was co-awarded the Van Dantzig prize, the highest Dutch award in statistics and operations research. He received NWO VIDI (2005), VICI (2010) and TOP-1 (2016) grants. (safety) P.D. Grünwald and T. van Ommen. Inconsistency of Bayesian Inference for Misspecified Linear Models, and a Proposal for Repairing It . Bayesian Analysis, 2017, pp. 1069-1103. (safety) P.D. Grünwald. Safe Probability. Journal of Statistical Planning and Inference 195, 2018, pp. 47-63. See also http://arxiv.org/abs/1604.01785. (safety) P.D. Grünwald and R. de Heide, 2018 (arXiv preprint). Why Optional Stopping is a problem for Bayesians. (luckiness) P.D. Grünwald and N. Mehta, 2017a (arXiv preprint). A Tight Excess Risk Bound via a Unified PAC-Bayesian-Rademacher-Shtarkov-MDL Complexity. (luckiness) P.D. Grünwald and N. Mehta, 2017b (arXiv preprint). Fast Rates for General Unbounded Loss Functions: from ERM to Generalized Bayes. Wouter Koolen, P. D. Grünwald and T. van Erven. Combining adversarial guarantees and stochastic fast rates in online learning NIPS 29, pages 4457-4465, December 2016.